1. Did the Left support Gloria Arroyo in 2001 and 2004? The Left was part of Edsa Dos uprising and support for Arroyo was incidental since she was at that time the Vice President who stood to benefit from Estrada’s ouster. In 2004, the Left didn’t openly endorse any presidential candidate. It’s inaccurate to describe the Left as an ally of Arroyo. Even immediately after Edsa Dos, the Left continued to criticize the anti-poor and anti-people policies of the government. The Left viciously opposed Arroyo’s neoliberal economics (privatization, EPIRA), puppetry to the US government (Balikatan, War on Terror), and ruthless militarization in the countryside (Oplan Bantay Laya). In other words, the Left was already shouting anti-Arroyo slogans in public forums and in the streets even before it was not yet fashionable to heckle the former president. So when the Arroyo counterinsurgency program Oplan Bantay Laya went into full swing, the Left became its main target. Most, if not all, of the 1,206 victims of extrajudicial killings, 206 victims of enforced disappearances, and 2,059 cases of illegal arrests and detention during the nine-year rule of Arroyo were suspected members and supporters of the legal and underground Left. Why would Arroyo kill her allies, if indeed the Left supported her? The real allies of Arroyo are the stalwarts of the Liberal Party, which include President Noynoy Aquino who was appointed Deputy Speaker of the House of Representatives in 2004. 2. Why is the Left opposing the programs of President Noynoy Aquino? The same reason why we refused to support the token reforms implemented by Arroyo during the early years of her presidency. The Left can never support a government which protects the interest of Big Business, the landlord class, and US imperialism at the expense of the working poor and the masses. Further, it’s impossible to declare absolute support for a government which has merely rehashed and expanded the deceptive programs (cash transfer, CARPER) of the Arroyo regime. The fact that the Left continued to be a critic of Aquino even after the party of Senator Manny Villar has decided to join the administration lineup in the recent elections is a clear testament of the independence and consistency of the Left in upholding its avowed advocacies. It further proves that the Left can support a candidacy or a campaign in the mainstream political arena without compromising its principles. But again, it’s quite wrong to argue that the Left is mindlessly opposing everything that Aquino is proposing or implementing. For example, the leftist bloc in Congress supported the impeachment cases against Ombudsman Merceditas Gutierrez and Chief Justice Renato Corona. We also voted in favor of the Reproductive Health bill. 3. Did the Left, in particular its pork barrel access, trigger the military unrest in the past decade? This is a simplistic and misleading assertion. It’s actually the first time that the Left is tagged as the culprit for provoking the rebellion in the military hierarchy. For the longest time, we were told and we knew for a fact that junior officers broke protocol because they were outraged by the corruption in the bureaucracy and election fraud masterminded by the Commander-in-Chief no less. Some of the restive members of the military even joined leftist forces in calling for the removal of Arroyo in Malacanang. But it is true that the military top brass has strongly expressed objection to the implementation of public projects endorsed by the Left. However, what it triggered was not uprising in the barracks but terror in the countryside. What we measure every now and then is not our growing electoral base but the number of our comrades who have been disappeared or murdered. Lest we forget, it was leftist leaders and not opposition politicians who bore the blunt of Arroyo’s brutal machinations to remain in power. I cannot really fathom the relevance of linking the pork barrel allocation of the Left and military unrest. There seemed to be no unusual activities in the military in 2010 and 2011 even though the Left was finally able to endorse public projects during this period. 4. Has the Left become irrelevant in the past three years? Is it in the wrong side of history? These are old accusations. Since the Marcos era, the Left was supposed to be a dying or dead movement. Remarkably, it has ‘died a thousand deaths.’ Despite the collapse of the Berlin Wall, the factions, and the failure to topple Arroyo, the Left has survived. 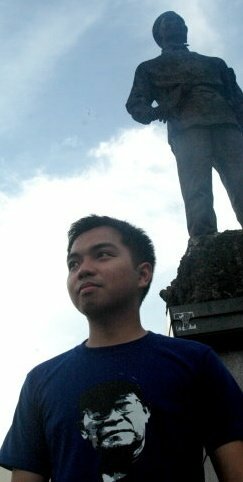 Politicians (like Enrile) always prefer to be close on the good side of history; but the Left is different. It is a social movement that seeks to create history. What its members aspire is not an appointment in bonus-giving agencies in the bureaucracy but the chance to restructure the social order. It is always ready to review its tactics. Two decades ago, it would be quite unthinkable for the Left to consider participation in electoral politics or even support direct legislation through a people’s initiative. Those accusing the Left of irrelevance are not innocent bystanders of politics but ideological partisans of the ruling administration. The Left has representatives in Congress, its electoral base is growing, it has a nationwide organized constituency, it has sympathizers, supporters, and varying political influence in all sectors and in almost all islands of the country. How can the tangible and intangible strengths of this movement quickly vanish in the past three years? Everyone can criticize the political decisions of the Left but to declare it irrelevant is to reveal a rabid and perverted kind of devotion to the landlord president. 5. Did the Left reach a political dead end after the defeat of its senatorial candidates? A long, long time ago an academic made an infamous declaration that history has come to an end. He has since then revised his judgment. In its long history, the Left achieved great political victories courtesy of the mass movement. What must be emphasized is that after deciding to field candidates in elections only 12 years ago, the Left has already garnered amazing electoral successes. Through its accumulated electoral experience and once the people’s movement gains more strength, it can perform better in the next elections. Or maybe not. Regardless of the results, the struggle must continue. Politics is after all more than just electoral or parliamentary politics. There were many candidates from various political forces and different ‘shades of red’ who lost in the recent elections but curiously their defeat was not derided as a political dead end. Maybe because it would be too disrespectful to make that claim. Fortunately, the loss of Kapatiran candidates was not described by our mainstream pundits as a political dead end for the Christian cause. Looking back, it was a relief not to read any commentary which judged the loss of Winnie Monsod in the 2001 elections as the end of the road for the academe-corporate media agenda. Let us be honest here. The Left is harshly and unfairly vilified because it has adamantly refused to “make peace with the new order” represented by the haciendero Aquino. In the eyes of the yellow ideologues, the Left is more than a nuisance; it is a threat and alternative that must be defeated and discredited. Hence, the vitriolic ranting of even the most sober analysts of the respectable members of the media. 6. How has the pork barrel issue altered the political landscape? It proved that corruption has persisted despite the two (or three) Edsa uprisings. It unmasked the populist posturing of Aquino who vowed in 2010 to finally end the scourge of corruption in the country. More importantly, it rendered visible the seething disgust felt by the masses against the corrupt system. The issue highlighted that corruption is endemic in the system. For many activists, it validated the leftist agenda on why corruption or more precisely, bureaucrat capitalism is an evil in society that must be rooted out through a revolution. The pork barrel is not an issue which is being exploited by the Left to attack Aquino or to seek a new ‘purpose in life’. On the contrary, it affirms that the Left has been correct all this time in calling for an overhaul of the system. The same system which has nothing original to offer anymore except to rebrand dynasties and revive failed programs. All major political forces have agreed to finally abolish the pork barrel. But it is the Left, the national democratic Left, which has the most subversive solution on how best to transform the government of the rich into a genuine government of the people. And perhaps this is the reason why those who benefit from this unjust social order are aggressively trying to undermine and undercut the appeal of the radical Left. This entry was posted on Wednesday, November 27th, 2013 at 5:36 am	and is filed under reds. You can follow any responses to this entry through the RSS 2.0 feed. You can leave a response, or trackback from your own site. (1) Tumanggap din po ng pork barrel ang mga militantent partylist groups ng Kaliwa, di po ba? kung evil per se ang pork barrel, gaya ng paglalahad ngayon ng Kaliwa, eh bakit nila tinanggap noon ang pork barrel? Asan po napunta ang ideolohiya diyan? (2) Ako po’y labis na nadismaya nang nakipag-alyansa ang Kaliwa sa NP ni Manny Villar noong 2010 election. Biro mo magkasamang nangampanya sina Ka Satur at Liza Maza sa iisang entablado kasama ang anak ng diktador? Ako po’y sukang-suka sa nangyari subalit ibinoto ko pa rin sina Ka Satur at Liza. Ang ibig sabihin po ng hakbanging iyan ng Kaliwa ay pwede naman silang makipag-alyansa sa mga demonyong yumurak sa mga karapatan at interes ng mamamayan depende sa pampulitikal na adyendang isinusulong in any given time.